Discover France's beloved Loire Valley on a full-day tour from Paris that introduces you to the region's array of delights, from wine to countryside scenery to castles. You'll visit Château d'Amboise, known for being the resting place of Leonardo da Vinci; have lunch at a restaurant in an old cave house; and enjoy a wine tasting in the company of local wine producers. This day trip is a great way to make sure you see a bit of the Loire Valley if you're short on time in France. Your day tour starts with pickup at your Paris hotel by your guide for the drive to your first stop in the Loire Valley, the Castle of Amboise (Château d'Amboise), once a royal residence. Featuring Renaissance designs, the white castle stands on the banks of the Loire River, towering over the landscape. Take a 1-hour tour with a provided audio guide to see the castle's interior rooms, chapel (where Leonardo da Vinci is entombed), and gardens, and learn about its history, including how it was a gathering place of philosophers, sculptors, and artists from all over France, Flanders, and Italy, including Da Vinci, who came to the château in 1516 and lived until his death in 1519. Next, visit a restaurant situated in a unique natural surrounding: an ancient mountain cave, which was dug in the chalky valley to use for wine aging. Today, it creates an intimate atmosphere for lunch; enjoy regional Loire Valley dishes and a welcome glass of Montlouis sparkling wine amid the cozy decor of woodwork and a large fireplace. Your last stop gives you the opportunity to discover some French wine. Learn about the wine-production process at a winery, where you'll take a guided tour that includes a tasting of six winesone rosé, one white, and four reds from the Chinon AOC, accompanied by local products. Afterward, return to Paris to end your day trip. The Champagne Tour departure from Paris is the perfect way to discover the rich wine heritage of France and the beautiful countryside around Paris during a relaxing day tour. Jump aboard our comfortable van and be ready to discover, learn and taste the symbol of french celebration all day long. From Paris, you will be guided by a friendly and passionate Sommelier. You will discover chalk caves, hillsides, climates, but also visit Reims and its famous Cathedral, the Avenue de Champagne in Épernay, the village of Mr. Dom Pérignon himself and, lots of more surprises. You will meet real Champagne producers, discover their Champagne making-process secrets and taste at least 7 amazing Champagnes... A true guaranteed experience. Meet your Sommelier in central Paris at 8 a.m. After a 1.5 hours safe drive in a deluxe air-conditionning comfortable van with max 8 people, you will arrive to your first stop in Reims city, to visit the famous Cathedral were kings coronations were held. You will then start with the first Champagne tasting in a Maison de Champagne (Moët & Chandon, Pommery, Taittinger or Veuve Clicquot) and visit the reputed chalk caves, a UNESCO World Heritage Site. Your guide and certified Sommelier will drive you across the Champagne vineyards till the charming village of Hautvillers, Dom Perignon monk headquarter, where you will experiment your second tasting in the vines. You will then head to Epernay, the second most important city in Champagne, where you will walk along the famous Avenue de Champagne and take a break for lunch. You will then enjoy a lovely ride around the Champagne countryside, a walk in the vineyards and a third tasting at an authentic family winegrowers with at least 3 Champagne tastings. Your guide will be a highly qualified Sommelier passionate about history who will teach you all the secrets of Champagne. The small group (maximum 8 persons) will make this tour interactive and convivial. The various sights visited will make your Champagne day tour unforgettable. Return to central Paris by 7pm. The reputation of French wines is unparalleled. Rolling vineyards cover the countryside from Burgundy to Bordeaux, producing some of the best wines in the world. Be part of a guided small group tour for visiting an historic 18th century wine cellar, now transformed into a spectacular wine experience. Learn about the grape varieties that grow across the country, the centuries old craft of winemaking and the fine art of wine tasting. Your visit will include a tasting of three wines that have been carefully selected for you by the in-house sommelier. Then, its time to head across the city to Montmartre, to one of the best-kept secrets in the city. Enjoy a VIP visit to a beautiful working vineyard closed to the public, taste its wine and learn about the fascinating history of the famous artists quarter. Meet your friendly, local guide and small group at a central location in Paris close to the Louvre Museum. The first visit is to the incredible vaulted wine cellars that once housed King Louis XVs wine collection. Legend has it the cellars were linked to the Louvre by tunnel to allow for easy transportation of the wines for royal banquets. Today, these wine cellars have been completely restored. Your expert guide will lead you through rooms dedicated to educating visitors about the cultivation of grapes, the winemaking process, and the smells, tastes, and colors you will recognize as you taste wines. Put your new knowledge into practice with a tasting of three wines selected for you by the sommeliers. Next, its time to head above ground, where your guide will lead you to your next stop: a tiny and beautiful working vineyard nestled in the heart of the historical artists quarter of Montmartre. Travel here by metro, as a typical Parisian would. On the way, stroll through the most Parisian of parks, the Tuileries Gardens, before heading for lively Montmartre and the Clos Montmartre vineyard. The presence of vines in Montmartre officially dates back to 944, and many say even to Roman times, making this the oldest vineyard in Paris. In the 18th century, three quarters of the hill of Montmartre was covered with vines. Your guide will lead you on a walking tour around this captivating area, regaling you with stories of the lives of the artists and famous residents who once called Montmartre home. This tour also gives you VIP entry to the Clos Montmartre vineyard, closed to the general public and only opened for a special few. Take a tour of this charming vineyard, and learn how the wine is made in the local town hall. Its the only town hall in Paris to have a license to make alcohol. End your tour with a tasting of Clos Montmartre's hard-to-come-by wine. Only 1,750 bottles are made each year, and all proceeds go to support local charities in Montmartre. At the end of your tour you are free to spend your evening in Montmartre, perhaps on the artists' square at Place du Tertre or in one of the typical bars or restaurants in the area. Your guide will be happy to make recommendations to ensure you spend a perfect Parisian evening. 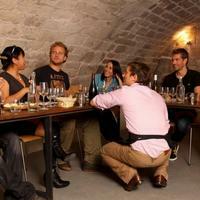 Enjoy a 2-hour winemaking workshop in a breathtaking 18th century royal cellar in the center of Paris. With your personal winemaker, you will learn how to make your own wine and design a label for your bottle. A unique experience and a must-do for any wine lover. In a unique and historical setting in the center of Paris, you will have 2 hours to create your own wine. With the help of a winemaker, youll get to taste and pick the grape varieties you want in your wine, then blend, try, taste again, improve and ultimately create your very own wine. Once this is done, its time to move on to step two, which is creating a label for your wine. With our easy-to-use system, its a piece of cake. And a fun one too. Youll walk out of the experience with a bit of a buzz and a personalized wine you made yourself. The price of the workshop includes one bottle. Discover the rich wine heritage, the beautiful countryside and part of history of France during a relaxing full-day trip. Your certified Sommelier and history-lover will guide you across north Burgundy. You will visit the lovely Chablis village, discover cellars built by monks, follow the Knight Templars path and taste Chardonnay, Pinot Noir, Chablis and Crémant de Bourgogne. You will also meet wine producers, discover wine-making and taste more than 15 amazing white, sparkling and red wines. You will meet your Sommelier in Paris. After a 2-hour ride in a air-conditioned van with a maximum of 8 people, you will arrive in the lovely village of Chablis. Your first wine-tasting takes place at a famous Chablis producer, where you will visit the caves, see the fermenting tanks, barrels, old vintage bottles, and finish with various wine tastings. You will then head to a typical village of Burgundy, where ancient grapes varieties are still grown. You will enjoy your second tasting during a wine,cheese and meet pairing lunch at a family-run producer. After lunch break, your sommelier will drive you through the vineyards area to another Burgundy appellations famous for its great Pinot Noir wines. You will learn about french wine labels, "terroirs", Burgundy grapes varieties and also about the epic history of the Knights Templar and Cistercians monks. Your final tasting will take place in a historic wine cave from the XI century built by monks. Return to central Paris around 7pm. Immerse yourself in France's winemaking heritage without having to leave Paris on this 1.5-hour tour of the historic cellars of Bercy, a neighborhood in the 12th arrondissement. Soak up the charm of centuries-old wine warehouses, and learn about oenology from a sommelier as you taste two fine French vintages. France is known around the world for its wine regions like Bordeaux and Burgundy, but you don't have to leave Paris to enjoy this traditional French setting. In the city, a tranquil area called Bercy was known to be the world's biggest wine marketplace in the 19th century. With a guide, your walking tour takes you through this typical Parisian area, where locals like to hang out and relax. Start by discovering the wine district's fascinating history on a 1-hour walk along the pedestrian streets and through Bercy Park. Then head to Chai 33 restaurant, a former warehouse in the heart of the village. In charming surroundings, a sommelier shows you the historic wine cellar and tells you the secrets of the art of wine tasting. Then enjoy two carefully selected wines to end your experience. Discover France in six glasses and gain insight into the countrys famous wine regions on this 2-hour wine tasting in Paris. Learn about five of Frances primary winemaking regions and the wines for which they are famous. Gain insight into the links between flavor, grape and region, and hear how to recognize a wines origin without checking the label. Then, sample five wines and one type of Champagne during a blind tasting session. Enjoy personal attention from your guide, an expert sommelier, on this small-group tour, limited to 16 people. Head to the venue in central Paris in the afternoon to meet your guide, an experienced sommelier, and begin your wine tasting. Designed with keen wine-lovers in mind, this 2-hour session offers insight into some of Frances most productive winemaking regions and the wines for which they are famous. Throughout your class, listen as the sommelier describes five of the key winemaking regions across France. Learn some of the primary characteristics of the grape varietals that thrive in the countrys fertile soils, and gain insight into the links between region, grape and flavor. Hear how to recognize a wines provenance without looking at the label. During blind tasting sessions accompanied by a selection of sliced ham, bread and olives, bring your senses to the fore and sample five carefully selected wines and one type of Champagne. Explore their similarities and differences with your sommelier, and gain appreciation of the various aromas and flavors at play in your glass. Master the stylish art of opening a Champagne bottle with a saber, then share a glass with your fellow drinkers. At the end of your session, receive a useful booklet and a stop-drop for the perfect pour every time, then head out into Paris to conclude your experience. Start with a nice walk in the historic streets of the latin quarter district of Paris and discover the history of the Panthéon and Sorbonne university. Then, stop at a wine & cheese shop and learn how to shop wine and cheese with the help of a Sommelier. Head to a lovely French bistrot and let your Sommelier explain some secrets about french viticulture and gastronomy during a 3 wines and 3 cheeses tasting. Meet your Sommelier behind the Panthéon in the historic 5th district of Paris and discover Paris with new eyes, during a lovely walk in the streets of the oldest part of the city, learning the secrets of Lutece - the old Roman village. You will stop at a wine shop where your Sommelier will give you tips to pick the best wines for good value. You will learn all the information you need to buy wine and how much you should pay for (labelling, aging, regions etc. ). Your Sommelier is friendly, knowledgable and experienced at teaching from the beginner to expert levels. Whether you are a wine novice or expert, youll love this exquisite wine-tasting session in an elegant wine bar in central Paris. During your session, sample several diverse French wines while enjoying a platter of artisanal bread, cheese and charcuterie (depending on option selected). Led by an expert sommelier guide, youll receive an overview of the French wine regions, learn how to read a French wine label, and discover excellent wine-tasting techniques. Choose from three specially designed wine tastings to suit your preferences. Relax in an elegant wine bar in central Paris and begin your French wine-tasting experience! With a professional sommelier, taste several award-winning French wines from different regions in France such as Sancerre, Champagne and Bordeaux. Learn about the history of French wine, how to read a wine label, and the different wine-making regions in France. You can also purchase any of your favorite wines at the end of your tasting. 1.5-hour wine tasting with cheese and charcuterie lunch: This more in-depth session includes a tasting of five French wines accompanied by artisanal bread, cheese and charcuterie (cured meats), such as smoked ham from southwestern France and saucisson (dried sausage) from Corsica. Your sommelier will take you through the different wine regions including Rhone, Bordeaux and Champagne. Learn the art of food and wine pairing and discover expert wine-tasting techniques. 2-hour wine and Champagne tasting: Join this wine tasting and enjoy six French wines from regions including Champagne, Sancerre and Rhône, accompanied by fresh bread. Explore the art of food and wine pairing; learn how to read a French wine label and navigate a wine list; and uncover the meanings of commonly used terms like 'terroir' and 'appellation.' Your sommelier will provide great tips and plenty of fun anecdotes, too! 2-hour grand cru wine tasting: During this ultimate wine-tasting experience, try six of France's greatest wines accompanied by a platter of delectable cheese and charcuterie. The six different wines, selected from some of the countrys best wineries, include grands crus (a classification of French wine denoting exceptionally high quality), premiers crus (the second-highest classification level) and older vintage wines, all boasting rich, complex flavors. Your sommelier will be on-hand to answer all your questions, and the content of the class will be tailored to meet your needs and preferences. Meet your guide, a fromager (cheesemonger), at the cheese shop in Paris' 3rd arrondissement. Step into your hygienic protective suit and head down to the underground cellar, where a variety of cheese rounds lie maturing in the cool temperatures. Explore a large room full of maturing cheeses such as Beaufort (a raw cow's milk cheese produced in the French Alps), Etivaz (a hard, raw cow's milk cheese made in the Swiss Alps), Gruyère (a mild, hard yellow cheese originating in Switzerland but also produced in France), bôfavre (a hard cheese made in Switzerland's Jura Mountains) and many, many more. The exact cheeses vary according to the time of year. Marvel at the 77-pound (35-kg) wheels of Comté cheese racked up alongside delicate goats cheeses and soft Camembert, all in varying stages of maturation and ripening. Listen as your guide delves into the history, traditions and techniques of French and Swiss cheese production, and feel free to ask any questions that come up. Then it's time to master the fine art of cheese and wine pairing. Savor seven soft, delicate cheeses, and follow your bites with sips of both light and complex wines, learning to appreciate the delicious, elegant and subtle flavors at play. Munch on bread and fruit to go with your cheese samples. At the end of your 1.5-hour tasting, head back up to street level to conclude your session. Enjoy a wonderful wine tasting in Paris with an expert sommelier guide. Taste wines from regions such as Bordeaux, Sancerre and Rhone, and listen as your guide takes you through the wine-tasting process and offers interesting insight into the wine regions of France. Combine your wine tasting with samplings of delicious cheese and charcuterie (cured meats like sausage and ham). Relax in an elegant wine cellar right in the heart of Paris and enjoy this delicious lunchtime tour! 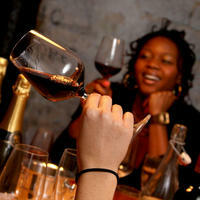 Start your Parisian wine tasting and lunch at midday in an elegant wine bar in a beautiful wine cellar in central Paris. Taste five wines, served in Riedel wine glasses, from different regions in France including Bordeaux, Sancerre, Champagne and Rhone. Your expert host, a trained sommelier, will guide you through the wine-tasting process and teach you some techniques on how to fully appreciate the different wines included in your tasting. As you savor the flavors, listen as your guide takes you on a tour of France's main wine regions and shows you how to read a French wine label. With your wine, taste some artisanal cheese from an excellent fromager (cheese maker). Learn how to pair cheese with wine and discover the reasons behind why certain flavors go better together. In addition, enjoy some tasty charcuterie (cured meats), including smoked ham from Southwest France and saucisson (sausage) from Corsica. This fun and informative lunchtime tour in Paris will give you a unique insight into Frances famous culinary traditions, and will surely delight your senses! This Wine Tasting tour In Paris is the best way to discover French Wines with an English-speaking wine expert. During more than 2 hours, without leaving Paris, you will discover the most famous wine regions of France and taste 6 excellent French wines: 1 Champagne, 1 white wine from Loire Valley, 1 white wine from Burgundy, 1 Red wine from Burgundy, 1 red wine from Bordeaux, 1 red wine from Rhone Valley. You will also learn how to taste wine like a real wine expert. This wine tasting takes place in small groups of maximum 12 people in a charming place located in the heart of Latin Quarter. During your session, you will have 1 glass of Champagne and 5 glass of wine, and baskets of excellent french baguette from the bakery: Gaumier. Grand cru wine tasting is the ultimate French wine-tasting experience. During this 2-hour wine tasting, taste six high-quality wines, including grands crus, premiers crus and older vintage wines, in a beautiful tasting room in central Paris. Learn all about the greatest wines of France and the main French wine regions from your expert sommelier guide. Discover some excellent tasting techniques and enjoy French cheese and charcuterie to accompany your wine as you relax in the quaint Parisian atmosphere. Expand your knowledge of wine with an afternoon of wine tasting in a beautifully renovated wine cellar in central Paris near the Louvre museum. During this 2-hour wine-tasting session perfect for wine experts and novices alike, indulge yourself and enjoy six exquisite wines from different regions in France. The wines, selected from some of the countrys best wineries, will include grands crus (a classification of French wine denoting exceptionally high quality), premiers crus (the second-highest classification level) and older vintage wines. Build up your understanding of French wines as your expert sommelier guide teaches you about the main regions of France and the hierarchy of French wine. Discover what makes a great wine; learn about the best tasting techniques; and gain an understanding of French wine labels. Your sommelier guide will tailor the wine-tasting session to your preferences to ensure that you learn about what interests you in a fun and informative atmosphere. During your tasting, savor some quality French cheese and charcuterie, the perfect accompaniment to these fabulous wines! Sample regional French produce and learn the concept of "terroir" on this 2-hour wine and cheese pairing class in Paris. Taste four types of wine and one style of Champagne with your instructor, an experienced sommelier. Try five different types of cheese and gain insight into their characteristics. Hear the origins of the wine and cheese tasted during your class, and learn how to pair them for the best flavor combinations. Practice sabering a Champagne bottle and enjoy personal attention from your guide on this small-group tour, limited to 16 people. Meet your instructor  an experienced sommelier  at your cookery school in central Paris to begin your wine and cheese pairing class. Designed with wine enthusiasts in mind, this 2-hour class is ideal for visitors to Paris keen to learn how fine French wine and cheese complement each other. During your class, taste four wines from different regions across France as well as one Champagne. Listen as your guide explains the five major French cheese families, then sample them to experience their subtleties of flavor for yourself. Hear the geographical and historical origins of the wine and cheese youre tasting and gain insight into the key concept of "terroir" in French produce. Enjoy five wine and cheese pairings accompanied by a selection of sliced ham, bread and olives, and savor the wine and cheese as they work together to create complex aromas and flavors. Under guidance from your sommelier, bring your senses of smell and taste to the fore and learn the skill of blind wine tasting. Take a knife and master the art of sabering a Champagne bottle to open it, then share a glass with your classmates. At the end of your 2-hour class you will receive Drop-Stop for the perfect pour every time and the school will send you the list of wine and cheese matches you will have sampled electronically. Learn about the terroirs of Champagne with a tasting session right in the heart of Paris. At a boutique cellar in the city, you'll taste three different varietals of Champagne, hand-selected for their quality and authenticity. Savory or sweet biscuits will also be served to accompany your tasting. You are welcome to enjoy this experience at one of several available times throughout the day. In the St-Germain area of Paris, your 1-hour tasting takes place at a Champagne cellar and boutique with a selection of 150 rare and authentic Champagnes, mostly from grand cru terroirs. You'll enjoy your tasting in the 17th-century cellar, surrounded by wine bottles. Learn about the main regions that make Champagne and the three different Champagne grapes (pinot noir, chardonnay, pinot meunier). As you taste the bubbly goodness, you'll hear about the factors that go into this magical drink, including the terroir, the year, and the blend. Gain insight into why Champagne is not only the preferred French wine for an aperitif, but also an ideal selection for dinner, as it can be paired with dishes. All the wines you taste are available for purchase to take with you or have delivered, at the right temperature, of course. Develop your senses with an informative and relaxing afternoon of wine and cheese tasting with a knowledgeable host. This private tour will let you discover the best ways to combine the flavors of French wine and cheese. Try four delicious wines and three tasty varieties of cheese, bringing together two culinary delights of France. This wonderful French experience will give you an insight into the Parisian way of life in a cozy setting. This intimate private wine- and cheese-tasting session offers a personalized experience with your expert host. Treat yourself to an exquisite private French wine- and cheese-tasting experience in Paris! Get an authentic taste of life in Paris and begin your French culinary experience. Your friendly host, a fully trained oenologist (an expert in winemaking), will make you feel at home and teach you all about wine and cheese pairing. As you savor four different wines, learn about the art of wine tasting, the different varieties of grapes used in the winemaking process, and how to use your sense of sight, smell and taste to fully appreciate the flavors. Ask your knowledgeable host any questions you have about the techniques used to savor wine to increase your understanding of wine tasting and winemaking. You’ll also sample three different varieties of French cheeses. Your expert host will explain how different types of cheese are categorized by their rinds, such as floral rind cheese, like Camembert and Brie, and hard rind cheese, like Emmental and Comté. Discover the techniques used to store and savor cheese while enjoying your cheese tasting. You’ll leave with newfound wine and cheese knowledge to impress your friends back home! From les grands restaurants, to thousands of exquisite specialty shops, to the neighborhood boulangerie, Parisians have mastered the art of cuisine. In this 2.5-hour Paris food tour led by a local chef or food writer, we will stroll the charming streets of Saint-Germain-des-Prés and the Left Bank, exploring the culinary culture of Paris. Our guide will introduce the basics of French cuisine while we meet the owners of tiny food shops, taste artisanal products, and enliven our senses to the amazing culinary traditions for which France is known the world over. Taste and discover French culinary traditions and philosophies. Accompanied by a professional chef or food writer. Small-group tour—no more than 6 people. Paris Food Tour in Saint-Germain-des-Prés. Traveling through the chic Saint-Germain-des-Prés neighborhood, our walk visits a select group of specialty food shops our docents have evaluated for their exceptional, artisanal wares. Once the home of the intellectual café culture of the 1950s, this upscale quartier is now known for its high-end shopping, beautiful boulevards, and most importantly, the gourmet food shops—some of which have been in the area for generations. Our culinary experts will lead us through the best of the best—tailored to their particular specialities and relationships with shopkeepers. Thus, our exact presentation and tour of shops will vary depending on the docent and group, creating a unique experience. With so many aspects of French cuisine to choose from, we begin by grounding ourselves with two Parisian staples: bread and cheese. Rarely missing from a French table, we learn that these items have an impact on both France's culinary and cultural identity. As such, we may open the walk with a visit to one of the best boulangeries to discover what defines a good baguette and its importance on the Parisian table, followed by a stop into an artisanal fromagerie to learn about some of France's nearly 400 types of cheese (and the various ways to correctly slice them). Aided by a variety of tastings, learning about the seasonality and aging process of French cheese is yet another delicious chapter of this edible cultural exchange. Following our introduction to the basics, we'll delve deeper into French specialties, potentially paying visits to the butcher to tempt our palates with foie gras, homemade rillettes, or this season's wild game. We might then sample a succulent chocolate made of roasted Equatorial cocoa beans, peer through the windows of the traiteur once responsible for Versailles's elegant fare, or even pop into the pâtissierie of our dreams. Our epicurious journey may come to a close with a glass of Armagnac in a wine shop passed from generation to generation since 1905. Along the way, we will examine how all of these products fit into the French diet, as well as other culinary traditions and philosophies. We may discuss how this legacy of culinary excellence has evolved into today's dining trends, discovering the differences between a brasserie, bistro, and restaurant, or simply focus on the French emphasis on dining ensemble. As we finish, we should have an excellent foundation in the cornerstones of French gastronomy and be better prepared to further discover French food during our stay and beyond. In the St-Germain area of Paris, your Champagne tasting with lunch takes place at a cellar and boutique that offers a selection of 150 rare Champagnes, mostly from grand cru terroirs. Sit down for your tasting in the 17th-century cellar, surrounded by wine bottles. As you enjoy the bubbly goodness, learn about the main regions that make Champagne, the three different Champagne grapes (pinot noir, chardonnay, pinot meunier), and other factors to be considered, including the terroir, the year, and the blend. Gain insight into why Champagne is not only the preferred French wine for an aperitif, but also an ideal selection for dinner, as it can be paired with dishes. Your 3-course lunch is served with your Champagneone course for each tasting. All the wines you taste are available for purchase to take with you or have delivered, at the right temperature, of course. Private day excursion to the Champagne region in a luxury minibus, with a seasoned driver guide. The maximum size of this group is 7 people. This visit will allow you to discover in perfect conditions the Champagne vineyards, visit some cellars, discover the Champagne making process and the history of it. Book the Champagne Day Tour with us and you will head to the heart of the Champagne Country where you will have the chance to discover the secrets and history of the ‘King of Wines’. You will have the chance to explore the world famous and swigging Champagne Houses of Moet et Chandon. In addition, you will enjoy a ride through the historical city of Reims. This Champagne Excursion is private and takes maximum of 7 people on a luxurious and air-conditioned vehicle to the various sites around the city. same as an English speaking professional and licensed driver-guide to ensure that each moment of your tour is lived up to your expectation and wishes. 1. A trip to Reims Cathedral – a splendorous Gothic church where the kings of France were crowned and you will be awed by its intricate glass work. 2. We will show you the winery and brewery at Epernay where you will actually see the age-old tradition and practices of wine making from grapes and other seasonal ingredients. You will be offered fresh wine which will enliven not only your taste buds but also your evening. 3. A stay at a local traditional stop-over for a typical French lunch complemented with tasty French Champagne. 4. Visit of a small local cellar for a tasting or a guided tour through their facilities. The purpose of this tour is also to give you a sample on how they can work different brands of Champagne depending on their size and popularity. The market it's really vast and the offer is huge. if you have an especial cellar or brand that you want to visit, let us know we will try to arrange a visit for your party. Discover the beautiful Loire Valley historic region and its medieval towns departing from Paris. Guided with a professional Sommelier, meet two winemakers and taste the best Sauvignon Blanc wines and amazing Pinot Noir from the famous Sancerre appellation. Delight yourself during the tasting of local cheese pairing with the regional wine in the best cheese maker of the region. Meet your guide in central Paris at 8am. You will travel in a comfortable deluxe van and have time to relax. After a 2 hours drive, you will arrive to the ancient Roman founded village of Sancerre where you will discover the lovely streets and enjoy the nice view of Sancerre appellation vineyards. You will start with the visit of a local winemaker and experiment white and red tastings. You will visit the cellars, talk to the winemaker and taste their best wines made with Sauvignon Blanc and Pinot Noir grapes. You will end the morning with a break for lunch. After lunch time, your Sommelier will guide you to meet a second local wine producer for visiting and tastings. You will as well have a nice walk in the vineyards where your Sommelier will explain to you the characteristics of the region climate and soil. You will continue the visit through the vineyards and stop at a family cheese farm and taste the delicious "Crottin de Chavignol" goat cheese, the famous cheese from the Loire Valley with a last glass of wine. You will head back to central Paris around 7pm. Your guide is a highly qualified Sommelier, passionated by history who will teach you how to understand French wine labels,"terroirs", Loire Valley grapes varieties, french cheese varieties. The small group (max 8) makes it very interactive and convivial. The white and red wine tastings, the wine and cheese pairing and the various sights visited from Medieval Village to a cheese farm make the tour very complete. If you have an interest in wine and its culture, youll learn the info, the history, the secrets, the science to boost your wine culture. All this presented in an amazing setting (try a huge 18th century royal wine cellar in central Paris), and with a very interactive and engaging approach. A museum with all the good stuff, and without any of the boring stuff! This wine tour was created by people who think wine culture needs to be fun and relaxed. An 18th century Royal wine cellar has been transformed into a maze of rooms that will surprise, enchant and stimulate you. This english guided tour is a truly unique experience in the very center of Paris. At the end of your visit, the exclusive shop will make your souvenirs shopping a piece of cake. From posters to wine books or personalized bottles, they have it all. Though our venue is 400 years old, the French Wine Experience is a brand new Paris attraction. Book now and become pioneers! Enjoy our app before, during and after your visit. It features games, quizzes, videos and a full on illustrated wine knowledge database. Book online now and schedule you visit whenever is convenient for you. Discover Paris famous wine culture as you explore its vibrant Left Bank or Montmartre districts on this 3-hour wine and walking tour. Choose to focus on the Left Bank or Montmartre, and then, with a wine-enthusiast guide, discover its highlights and hidden gems in-between stops at wine bars or cafés. Enjoy three wine tastings while learning about French winemaking, and admire sights such as Notre Dame Cathedral, Sacré Coeur Basilica and Paris last working vineyard, depending on your chosen district. Great for wine novices and experts, and lovers of Paris alike. Book your wine tour in the Left Bank or Montmartre and make your own way to the starting point. After meeting your wine-expert guide, spend time exploring your chosen district, stopping along the way at different wine bars and cafés popular with the locals. Enjoy three wine tastings during your tour, and in-between, get acquainted with the highlights and hidden corners of the district. Admire the landmarks, delve down side streets and soak up the village atmosphere as your guide elaborates on its local history and way of life. While the routes may vary according to the day, both tours last around 3 hours and end in the district they focus on. Meet your guide in the vibrant Left Bank area of Paris near the Seine River, and set out down the cobbled Rue Mouffetard, known for its food shops and markets. Hear about the streets history and links to late author Ernest Hemingway, before visiting a wine bar and enjoying your first wine tasting. After, resume your travels, passing Saint-Medard Church and a bar made famous by the movie Amélie, on route to the Panthéon, a temple commissioned by French king Louis XV in 1744. After admiring the Panthéon, stop for a second wine tasting and then continue past the Sorbonne University to the Seine River before heading inside a wine shop offering local favorites and seasonal choices. Settle into the traditional interior for your third wine tasting, and then finish your tour at a neighborhood bistro. Make your own way to the Montmartre district, meet your knowledgeable guide, and head for your first stop, Paris last working vineyard. Take in the sight of the leafy vines flanked by houses and hear about its history and wine production. Then, stroll into picturesque Montmartre to the tree-lined Place du Tertre, filled with outdoor art stalls. Learn how the area inspired artists such as Renoir and Picasso, and delve into the cobbled streets to seek out the best wine bars. Stop at three traditional bars and sample a delicious wine in each as you learn how its made by some of Frances smaller producers. As you sip, chat over the wines characteristics with your guide and the rest of your group. Lastly, walk up to the hilltop Sacré Coeur Basilica and absorb the sweeping views over Paris. Then, finish your tour with a third wine tasting before saying goodbye to your guide. Expand your knowledge of French wine with an evening of wine tasting in a beautifully renovated cellar in central Paris. Taste six French wines from different regions including Rhone, Bordeaux, Sancerre and Champagne. Delight your senses as your expert sommelier teaches you some of the best wine-tasting techniques and shows you how to read a French wine label. Enjoy cheese or charcuterie to accompany your wine (if option selected). This relaxing and informative session is an ideal way to learn all about French wine  you will leave with a whole new level of confidence and expertise. Treat yourself to an evening of wine tasting in an elegant wine cellar in central Paris, located near the Louvre museum. Taste six wines from regions all over France including Rhone, Sancerre, Bordeaux and Champagne. Your friendly and informative sommelier guide will lead the session and offer interesting insight into French wine with a unique and refreshing approach. Discover how Champagne is made and what makes it so prized. Learn how to taste wine properly and how to read a French wine label. If youve ever been confused by concepts such as terroir or appellation, your knowledgeable host will explain them in detail. In a relaxed atmosphere, enjoy samples of wine, served in crystal Riedel wine glasses, accompanied by fresh bread, plus cheese or charcuterie, if you select that option. As you savor the flavors, learn about the different wine regions of France including the grapes they grow and the style of wine they make. Youll be given a list of the wines you tasted as a reminder of your afternoon, and will leave your 2-hour wine-tasting session with newfound expertise and appreciation of French wine. Perfect for wine and cheese lovers, this 1.5-hour tasting allows you to try four wines from four different French wine regions paired with various cheeses. This small-group activity takes place in a charming authentic wine shop in the Latin Quarter and has a maximum of 12 participants. This is the perfect lunch break you need when you are in Paris. You will also have generous portions of four cheeses, selected by the famous cheese maker Beillevaire, to pair perfectly with those wines. After the session, you will be given a pocket ready guide on how to properly taste and discover all the richness that French wines offer. This wine and cheese class is usually available on Wednesday and Friday at lunch time, starting at 1pm. Is there anywhere in Paris a more emblematic and picturesque quarter than Montmartre ? How is it possible to concentrate so many French symbols and food in such a small area ? Follow your passionate local guide and unveil the mysteries of Montmartre during an unforgettable 3 hours food tour on top of the French capital ! Between le Moulin Rouge and le Sacré Coeur, taste only the best of Montmartre! Small groups tours ensure you the best experience you can get! During the tour, you will have the opportunity to meet some of the most passionate and talented food artisans of the capital. No mistake you are in Montmartre ! If the City of Lights had a heart, no wonder it would be beating here, in Montmartre and nowhere else. You have probably heard of Montmartre as the residency of some famous painters of the 19th and 20th century, such as Pablo Picasso and Van Gogh, or even as the setting of some myhtical movies such as Amelie! Yet, Montmartre has also a great gastronomical heritage. You can tell by the several mouthwatering window shops along the way, full of elegant and delicious cakes, appetizing chocolate candies, and of course, shelves full of generous cheeses, cured meats and French wine! Not only Montmartre contains some of the most popular cultural symbols of Paris, such as Le Moulin Rouge and Le Sacré Cœur, but it also has an undescribable soul provided by every single actor of this area. All the talented food artisans play a major part by contributing to the warm and unique atmosphere of the district. On the way, your guide will take you to the breathtaking Clos des Vignes, which happens to be the only vineyard in Paris. This incredible spot will make you forget about where your are, thanks to its timeless setting that literaly throws you back a century ago, when the wine served in every cafes and bistros was coming from the Montmartre's vineyards! Your local and foodie guide will be delighted to walk down these streets in order to introduce you to the best food artisans of the area, and also to share with you some unforgettable tastings at every stop. You'll feel like a little child while eating the sweet treats we've selected for you, while a glass of good wine paired with some fresh cheeses and cured meat will make you fill in the shoes of a real Parisian enjoying his apéritif along with friends! Get ready for Montmartres magic and delicacies, they are only waiting for you! Sip Champagne and sample French cheese during a tasting session right in the heart of Paris. At a boutique cellar in the city, you'll taste three different varietals of Champagne, hand-selected for their authenticity and quality, accompanied by a plate of Comté cheese and cured artisan ham. You are welcome to enjoy this experience at one of several available times throughout the day. In the St-Germain area of Paris, your 1-hour tasting takes place at a Champagne boutique that offers a selection of 150 rare Champagnes, mostly from grand cru terroirs. Sit down for your tasting in the 17th-century cellar, surrounded by wine bottles. As you taste the bubbly goodness, learn about the main regions that make Champagne, the three different Champagne grapes (pinot noir, chardonnay, pinot meunier), and the factors that go into this magical drink, including the terroir, the year, and the blend. Gain insight into why Champagne is not only the preferred French wine for an aperitif, but also an ideal selection for dinner, as it can be paired with dishes. The Champagne is served with matured Comté (a hard cheese) and cured artisan ham (pata negra and serrano). All the wines you taste are available for purchase to take with you or have delivered, at the right temperature, of course. Treat yourself to a delightful afternoon of wine and chocolate tasting with an expert host. Learn about the wine- and chocolate-making processes, as well as the best ways to combine flavors, as you indulge your taste buds with four different wines and two types of chocolate. Relax in the friendly atmosphere of this private tasting session and enjoy an afternoon of indulgence. This private wine- and chocolate-tasting session ensures you’ll receive personalized attention from your host. Become a wine and chocolate connoisseur during this private French wine- and chocolate-tasting session in Paris! Your host, a trained oenologist (expert in winemaking), will show you the best ways to savor wine and chocolate. Ask any questions you have about wine tasting and the different grape varieties used in the winemaking process as you taste four different wines, including a sweet and sparkling wine. In addition, sample two tasty types of chocolate as you discover the different stages of chocolate making, including the fermentation and roasting of cocoa beans. Expand your palate and learn how to combine the flavors of wine and chocolate under the guidance of your knowledgeable host. Have fun experimenting in a relaxed, intimate atmosphere and take away some valuable skills and knowledge to impress your friends back home! At the end of your French culinary experience, you will be given a list of the wines you tasted as a reminder of your authentic Parisian afternoon. Wine and France are inextricably entwined. A vibrant thread in the fabric of daily life and culture, wine has helped shape France's history, gastronomy, and urban landscape. Our 2.5-hour Paris wine tour and tasting, led by a sommelier or oenologist guide, introduces the basics of French wines, from the Bordeaux and Burgundy to the country’s lesser known appellations. Over a couple glasses of wine, we will discuss the wine-making process and the evolution of wine in France, as well as food and wine pairings, current trends, and tasting techniques to help you continue your appreciation at home or abroad. 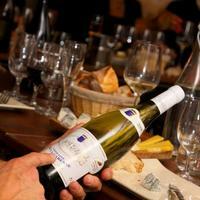 Paris wine tour and tasting led by an expert sommelier or oenologist. Taste up to 4 wines and pair them with cheese and charcuterie. Small groups—never more than 6 people on a walk. We'll begin with a discussion of France's 2,500 year history of wine production, which dates from Greek and Roman times. Sitting together at a traditional bar à vin, we'll taste a few classic French white wines. Here, we'll learn about dégustation, the art of tasting, and we'll explore the history of wine in France and its particular importance in Paris. Showcasing the diverse styles of French wine, these tastings will serve to calibrate your palate, teaching us how to evaluate wine using our senses of smell and taste. We'll also enjoy a plate of fromage or charcuterie and discover the basics of pairing French wine with food, raising the concept of terroir, the dominant philosophy in French wine and cuisine. We'll use this concept to explore how natural elements can effect the flavor of your wine. We'll then head to a charming bistro and further our discussion. On our way, we may even have time to stroll through the neighborhood market that's quieting down for the evening to peek at what may still be left in the stalls, broadening our understanding of terroir. Seated at our second local establishment, we'll settle in to taste a few typical red wines. Here, we have an excellent opportunity to take a closer look at the bottles to understand what’s inside. France was the first country in the world to classify its wines using AOPs. This system, dating from the 1930's, is still in use today and can be daunting to even the most seasoned wine expert. Guided by our docent, we will learn the ins and outs of this system, its initial purposes and structure, and how it has evolved today. While examining several bottles, we will be able to dissect a typical French wine label and see its quality level clearly, before even trying the wine. "We marveled at our docent’s breadth of knowledge, not only of the end product—wine—but perhaps even more so of its history and the ever so many pieces of the puzzle." To bring our experience full circle, we may put our wine knowledge into practice at a local wine shop, a cave à vin, where we'll take an in-depth look at the wine regions of France, the art of reading French wine labels, and current trends in French wine-making. We will leave our walk with new gustative knowledge on French wines that we can take home with us and put to good use when buying or drinking French wine anywhere in the world. Special Custom Tastings: For visitors looking for a unique experience, we can custom-design a private tasting to focus on a particular region or on lesser-known wines. We can also arrange a luxury wine tasting experience. For more information see our Private Paris Food Tour. Foodies may also enjoy our Paris Food Tour or our Paris Market Tour. Enjoy Paris like a local on this 2-hour evening walking tour in the Montmartre district. With a French wine scholar as your guide, you'll explore the streets of the 18th arrondissement, stopping at trendy haunts that are off the beaten path but filled with just as much Parisian character. Learn about wines you might normally think of as 'pas cher' (cheap), and sample pairings along the way. Your walking tour takes place in the 18th arrondissement of Paris, where you'll meet your guide. Head first to a cave a vin (wine cellar) to sip sparkling wine and learn a few key things about French wine, and then stroll through the Montmartre neighborhood to the marché (market), where you can purchase a few bottles of vin, if you wish, with assistance from your guide (own expense). Continue your tour to a bistro/wine bar to treat your taste buds to a few new wine selections, accompanied by bread, cheese, and meat pairings (optional) for a true taste of Paris. Head to the home of Champagne on a full-day private tour from Paris that includes samples galore! With a knowledgeable guide, passionate about fine wines and Champagne, youll tour the ultra-chic Moet and Chandon Champagne cellars in Epernay, learning all about the production of its exceptional sparkling wine. Plus visit the village of Hautvilliers, known for being the hometown of Dom Pérignon, and explore the House of Mumm Champagne cellars in Reims. Set off from Paris by luxury minivan with your private guide and head to the glamorous Moet and Chandon Champagne House in Epernay, near Reims. With the largest Champagne cellars in France, the high-end Champagne house boasts nearly 17 miles (28km) of underground tunnels where its classic sparkling wine matures. As you tour this subterranean maze of chalk cellars with your knowledgeable private guide, learn about the process of turning white wine into something fizzy! Hear about temperature control and levels of humidity, and learn how the bubbles get into each bottle. At the end of your 1-hour walking tour around the cellars, try a glass of Moet Champagne and discuss its complicated creation with your guide. Leaving Epernay behind, your private tour continues through Reims Mountain National Park, home of the prestigious Grand Cru vineyards, before reaching the charming village of Hautvillers. Often referred to as the birthplace of Champagne, the village is best-known for its famous ex-resident Dom Pérignon, the Benedictine monk who spent much of his life producing and perfecting Champagne. Reims is the last stop of your tour, and its here that youll visit the incredible House of Mumm Champagne cellars. As a sommelier guide walks you around, discover the different production stages involved in creating Mumms famous bubbly. End your tour on a high note, with a glass of GH Mumm Cordon Rouge Champagne, before returning to Paris. Enjoy four top-notch French wines and dinner at an acclaimed Paris wine bar on this 2.5-hour experience. Settle in the bars cellar-like tasting room with your fellow wine-loving guests, and with an experienced sommelier at the helm, enjoy generous tastings of four fabulous wines, including Champagne  each chosen to complement your three courses. Learn the origins of each wine, and get insider tips on tasting wines, pairing different varieties with food, and more. Soak up the convivial atmosphere, and enjoy a digestif such as Calvados to finish your experience. Make your own way to the central Paris wine bar-restaurant that will host your tasting. When you arrive, be shown to the elegant, cellar-like tasting room  all stone walls and vaults and meet your professional sommelier and the rest of your like-minded, wine-loving group. Take a seat at the communal dining table and listen as your sommelier talks you through whats ahead. Your sommelier will have chosen four top-notch French wines, including Champagne, to match the menu for the evening  menus vary according to the season  and will give you a fascinating introduction to each variety and why it makes the perfect foil to your food. Then, relax over your delicious 3-course meal, with an appetizer, main course and dessert (see Itinerary for a sample menu) skilfully prepared by the Cordon Bleu French chef. While you eat, enjoy the generous servings of wine and hear about the origins of each varietal and the French wine region it hails from. As you sip on Champagne, learn how its made and what makes it special, and throughout the meal, build your wine knowledge as your sommelier explains concepts such as 'terroir'  the type of natural environment in which a wine is produced. Chat freely to your fellow guests, join in discussions about wine, and glean expert tips from your sommelier on how to taste wines properly and pair them with food. Drink in the convivial atmosphere and after dessert, enjoy a tasting of a classic digestif such as Bas-Armagnac, Cognac or Calvados.As the evening ends, receive an information sheet on the wines youve tasted, and after saying goodbye to your sommelier and fellow guests, head back to your hotel. Enjoy a private full-day tour to Champagne on this 10-hour guided tour from your hotel in Paris. Visit a major Champagne house, learn about the champagne making, discover the town and cathedral of Reims, visit a smaller producer in a village in the vineyards and enjoy Champagne tastings as you travel through the Champagne countryside. A wonderful day of excursion and tasting through the "Montagne de Reims". Visit and tasting of a prestigious Champagne house in Epernay or Reims such as Moët-et-Chandon, Taittinger, Veuve-Cliquot, Pommery, Mumm, or Ruinart.... Lunch in Epernay or on the way to Reims (not included). Epernay is with Reims, the main wine-growing center of the Champagne region and the meeting point of three major wine-growing areas: the Montagne de Reims, the Côte des Blanc and the Marne Valley. Visit Hautvillers, attractive village on the southern slope of the Montagne de Reims, with old houses and hand-painted wrought-iron signs, it forms part of the three top wine-growing areas of Ay, Hautvillers and Avenay. Dom Perignon (1638-1715), who is buried in the old abbey church, was in charge of the cellars of the Benedictine abbey. The monk was the first to blend various wines to produce Champagne. He also supervised the double fermentation process and initiated the use of cork. Dom Perignon invented the science of Champagne and personifies the spirit of the Champagne people, a mix of method and audacity. Tastings at one or two smaller Champagne producer in the 'Montagne de Reims' or in the Marne valley. 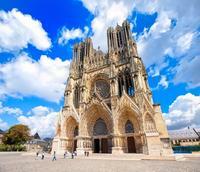 Visit the beautiful Reims cathedral where most French Kings were crowned, return to Paris. This 3.5-Hour Food tour will take place around the Marais Area, in the third arrondissement of Paris, starting from rue de Bretagne, and ending at the Hôtel de Ville. Departing in Paris Oldest Market, the tour will take you to some of the most amazing food shops and artisans. Known as one of the most open-minded area of Paris, the Marais is home for the oldest market in Paris : le marché des enfants rouges. The Parisians love to stroll its aisles and indulge themselves with lots of fine product to try. Discover this iconic area and its secrets! Enjoy a deep dive in the heart of le Marais district with a group of maximum 10 persons. Get introduced to French and other countries tasty specialties thanks to your knowledgeable guide. While on this tour, you will stop by 8 to 10 stops of some of Paris most fantastic shops! While discovering this amazing area you will try wines, cheeses, delicacies like Organic Tapenade, Cured Meat, Baguettes, Jams and other great traditional french delicacy. This tour will also be the opportunity to taste chocolate and Macarons from renown chocolatiers. From the oldest market in Paris 1605 to St Paul's church this unique route will make your taste buds scream ! Delve into the exclusive world of the Champagne region and its offerings on this day trip from Paris. Leave ordinary life behind as you embark on a fully-guided, 10-hour tour of France's most famous sparkling wine region. Travel in an air-conditioned coach into the heart of French luxury, where you'll toast the drink of kings and spend a day completely immersed in the offerings of some of the region's most iconic producers. Meet your guide on the steps of Opera Bastille in Paris, and board a comfortable coach bus for a journey to the illustrious Champagne region. Along the way your guide will provide details about your destination, including its history, traditions, and details on the Champagne you'll be tasting. Your first stop is the Épernay, a picturesque hamlet thats home to the Avenue de Champagne. This iconic street is said to be the most expensive avenue in the world, thanks to the multitude of Champagne stored in chalk cellars and stretching for miles beneath it. Explore these underground tunnels for yourself with a visit to the esteemed Champagne house of Mercier, known for being Frances top-selling Champagne. Learn why these cellars were considered revolutionary at the time of their construction and a bit about their architect  the houses visionary founder. Once youre through exploring these incredible subterranean lairs, spend some free time discovering this charming enclave. Stroll along the avenue admiring its stunning mansions, or savor some local cuisine. Your guide will be available to offer suggestions tailored to your interests. Its then time to settle back into your coach and embark on a winding tour through the rolling vineyards. Soon youll reach your next destination: Hautvillers. Famous for being the birthplace of Champagne, this lovely village is also home to a Benedictine abbey steeped in history  its cellar master was none other than Dom Pérignon. While Pérignons local tomb is a monument to his legacy, Hautvillers also has a fascinating way of recognizing the talents of its other inhabitants: beautifully forged iron signs that decorate shops and houses, revealing the trade of those who work or live there. You'll then continue on to your final stop: a family-run Champagne estate, where you'll tour its rolling vineyards and candle-lit cellars. Learn about the Champagne-making process and sample three different Champagne varietals produced on the grounds. Your day trip concludes with a leisurely bus trip back to the original departure point in Paris. This tour will take you to the heart of the Champagne country to discover the history and secrets of "The King of Wines". You'll visit a world-renowned champagne house and tour the historic city of Reims, the capital of the Champagne region. Numbers are limited to a maximum of 8 people on this small group tour, ensuring you'll receive personalized attention from your guide. Your tour begins at Reims Cathedral. A magnificent Gothic church acclaimed for its striking stained glass windows, you'll see where the kings of France were once crowned. The rest of the morning is spent near Epernay where you will visit a traditional vine grower. Depending on the season, you will get the chance to see the grapes being pressed or the wine blended. Whatever the season you'll get to taste the finished product with a glass of the vineyard's own Champagne. Stop for lunch at a traditional restaurant in the center of Reims, featuring the cuisine of the Champagne region. In the afternoon the tour continues to a guided visit at Moet and Chandon cellars. A wine maker will share insights into the production of Champagne while you tour the cellars and enjoy a tasting session. Please note: The schedule and cellars visited are subject to change without notice, depending on the season. Please check itinerary. Enjoy a 3-course dinner featuring contemporary French food and fine wine on an evening in Paris! Taking place in an atmospheric wine restaurant near the Louvre, the meal is cooked by a passionate and talented young French chef. Each haute cuisine course is matched with a glass of wine, plus you'll enjoy a glass of Champagne to start and a digestif to finish! After making your way to a wine restaurant near the Louvre, your evening of fine food and wine in Paris begins with a glass of Champagne. In a city renowned for its high quality cuisine, this restaurant offers the chance to enjoy delicious dishes made with only the finest fresh and seasonal produce, and designed to go perfectly with the wide variety of wines available. Alongside your meal, enjoy three different glasses of wine -- each paired with the separate courses to complement your food. Note each wines complex flavors and tones, and you'll understand the role that wine plays in fine dining. End your dinner with a classic digestif -- an alcoholic drink (usually a fortified wine or liquor) that aids digestion  and then leave the restaurant to continue your night in Paris on your own. If sipping French champagne while cruising down the River Seine is your idea of heaven, this champagne-tasting cruise will be a highlight of your trip to Paris! The champagne will be flowing as you cruise down the River Seine past some of Paris' most famous monuments. Combining a sightseeing cruise and wine tasting, you'll enjoy a champagne presentation by an expert sommelier, held in a private room at the front of the boat while you cruise along the Seine. Your Seine River cruise starts from the dock by the Eiffel Tower, gliding you past the Eiffel Tower, the Louvre, Musee d'Orsay and the Grand Palais. Along the way, your sommelier will provide insights on the history of Paris' famous monuments throughout the cruise. Make your way out of Paris for an all-inclusive private day trip to the beautiful Champagne district with a wine expert! Join your private guide Michel on an exclusive day trip to the magnificent vineyards in Champagne! You'll depart from Paris by taking a comfortable 1st class train journey (50 min) to Champagne Ardennes Station. It's the best way to enjoy the scenery of the French countryside, plus Michel will share insights about the tour and great stories with you! As a wine exporter he has many connections with different vineyard owners and actually owns one himself in the south of France, so he'd love to share his knowledge with you! Upon arrival you'll make your way to the first vineyard visit by private van. Here you will have an exclusive visit to a reknowned artisan winery near Epernay and will of course enjoy a tasting afterwards! The next stop will be at Reims, regarded to be the capital of the Champagne wine-growing region. Before enjoying a tasting you'll also visit the breathtaking Reims Cathedral. Reims is also known for its magnificent gastronomy, so next to a delicious tasting you'll also enjoy a luxurious lunch along with a Champagne glass or two. The final visit will be to the Möet Chandon or Pommery (depending on availabilities and dates) where you'll spend some time in the famous crayères cellars. After the final tasting, you'll depart back to beautiful Paris after a great day in Champagne! 8:30 AM: Departure by 1st class train from Paris Est Station to Champagne. The perfect way to enjoy the view of the French countryside in comfort. 9:30 AM: Arrival in Champagne Ardenne and transfer to the first Vineyard visit by private van. 10:00 AM: Visit to the Champagne Ardenne Vineyard with an exclusive visit to the cellars. Tasting included! 2:30 PM: Visit to Möet Chandon and the famous Crayères cellars. Tasting included! Embark on a Champagne pilgrimage on a full-day trip from Paris! With an expert guide, head to the heart of the Champagne region and tour the glamorous Moet and Chandon Champagne cellars in Epernay. Continue to Hautvillers, the captivating village that was once home to the father of Champagne -- Dom Pérignon and learn about premium Champagnes. You'll discover the secrets behind their effervescent fizz on a tour of the House of Mumm Champagne cellars in Reims. Enjoy samples galore and see much more on this must-do Champagne day trip! Leave Paris behind and head off with your expert guide to the prestigious Moet and Chandon Champagne house in Epernay, near Reims. Easily boasting the largest Champagne cellars in the world, this luxury Champagne house is home to some 17 miles (28 km) of underground tunnels where their world-famous sparkling wine matures. As you tour this incredible labyrinth of chalk cellars with your guide, learn about the magical process of turning standard white wine into something fizzy! Hear about humidity levels and temperature control, and see for yourself how the bubbles get into each bottle. At the end of your 1-hour walking tour around the cellars, sample a glass of Moet Champagne and discuss its complex creation with the fellow Champagne lovers in your group. From Epernay, hop back on board your air-conditioned minivan and travel through Reims Mountain National Park, home to Grand Cru vineyards, before reaching Hautvillers with your guide. Known as the birthplace of Champagne, this charming village is best-known for its most famous ex-resident, Dom Pérignon, the innovative Benedictine monk who dedicated most of his life to producing and perfecting Champagne. Reims is the last stop of your day, and in this city rich with tradition and culture, visit the must-see House of Mumm Champagne cellars. As a sommelier guide shows you around, discover the main stages involved in the production of Mumms famous Champagne and learn how Champagne has different levels of sweetness -- termed sec or demi-sec. End your tour on a high note, with a glass of highly regarded GH Mumm Cordon Rouge Champagne, before returning to Paris. Tour schedule and wine cellars visited are subject to last minute changes without notice, depending on the period of the year as well as depending on Supplier availability. The order of the houses visited can also be modified accordingly. Welcome to Paris' most acclaimed wine bar! In a beautiful setting, you and your special person will be served two glasses of unique Champagne. A friendly and bilingual sommelier will tell you about the specificity of what you will be tasting. This special date is perfect for leisurely afternoon drinking as well as for a unique pre-dinner aperitif of discovery and fun. Upon arrival you will be greeted and seated in what is one of the most beautiful and interesting settings in Paris to drink French wine. You will be given special attention to make sure that your entering experience is romantic, memorable, fun and relaxing. You each will be served two unique glasses of Champagne typically from small producers with an interesting approach or story. Your sommelier will share his passion and knowledge with you. If you fancy some food, you may order a platter of outstanding French cheeses, charcuterie or foie gras. (and even amazing small plates). The wine bar features 50+ wines and Champagnes by the glass and our team of sommeliers loves nothing more than to have you discover new treasures and experience great wine pairings. Visit the city of Reims, where French kings were once crowned, on this Champagne region day trip from Paris. You'll see historic landmarks such as Reims Cathedral, a UNESCO World Heritage site, and take in the vineyards of Champagne, home of the celebrated sparkling wine. Enjoy a lunch of wine tastings paired with regional dishes on this day tour that introduces you to French history, architecture, and culture. Hotel pickup and drop-off with transport by bus are included. After the pickup from your hotel in Paris, your day trip starts with the roughly 1 hour 30 drive to Reims, the heart of France's Champagne region. Once the 'city of kings,' Reims is known for its World Heritagelisted Cathedral (Notre-Dame of Reims), a perfect example of French Gothic architecture from the 13th century, where the kings of France were crowned. After the cathedral, continue your day trip to one of the famous houses of Champagne. There you will have opportunity to learn more about the history of champagne production with a guided tour in the caves and a champagne tasting (two glasses included). On your way between Reims and next vineyards, you will have a chance to discover gastronomy of Champagne region. Enjoy three courses lunch including entrée, main course and dessert in one of the best local restaurant. You'll spend three hours learning about and sampling Champagne, the most renowned of sparkling wines around the world. Visit one of the most prestigious wineries in the region, and see the production process of this divine drink, from pruning the vines to pressing the grapes to blending and wine storage. You have the chance to see ancient cellars, which hold thousands of dusty bottles, and, of course, savor the taste of real Champagne. Your tour ends by returning to Paris. You can purchase any of the wines you like at special prices during your tour (own expense). Visit the sacred town of Reims, known for its role in consecrating the kings of France as well as its importance to the Champagne regions sparkling wines. In Reims, your guide will take you on a tour of the citys famous Gothic cathedral, followed by a trip to the world-renowned Mumm champagne cellars for a tour and tasting of Mumm Houses Cordon Rouge champagne. After your visit at Mumm Cellars, the tour provides you with an opportunity for lunch. In the afternoon, your tour continues on through the picturesque landscape of vineyards and rolling hills to the town of Epernay, the main entrepôt for the regions sparkling wines. Here, youll visit the prestigious wine cellars of Mercier for another tasting session. After your trip to Epernay, your coach will return you to central Paris. Please note: The schedule and cellars visited are subject to change without notice, dependent on the season.